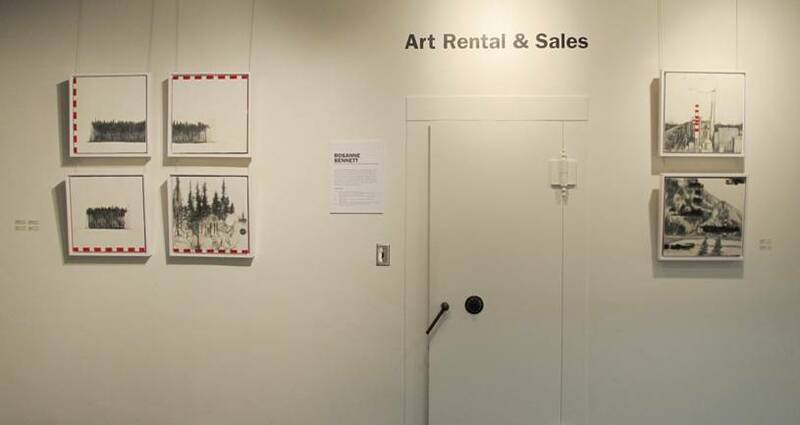 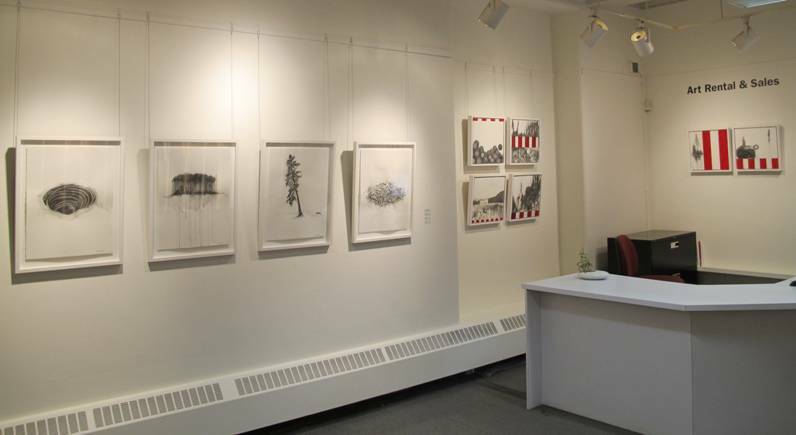 This year the series Land Marks has exhibited at Barrister’s Lounge at the Vancouver Courthouse and the Art Rental & Sales Showroom at the Vancouver Art Gallery. 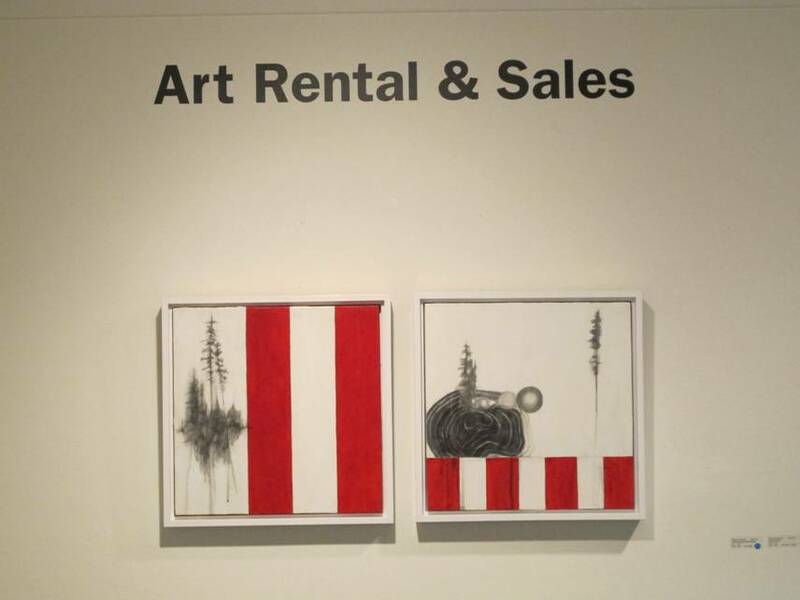 Rosanne Bennett’s recent work continues her ongoing exploration and response of the traditional, iconic, and official imagery that is symbolic of her life growing up in rural British Columbia. 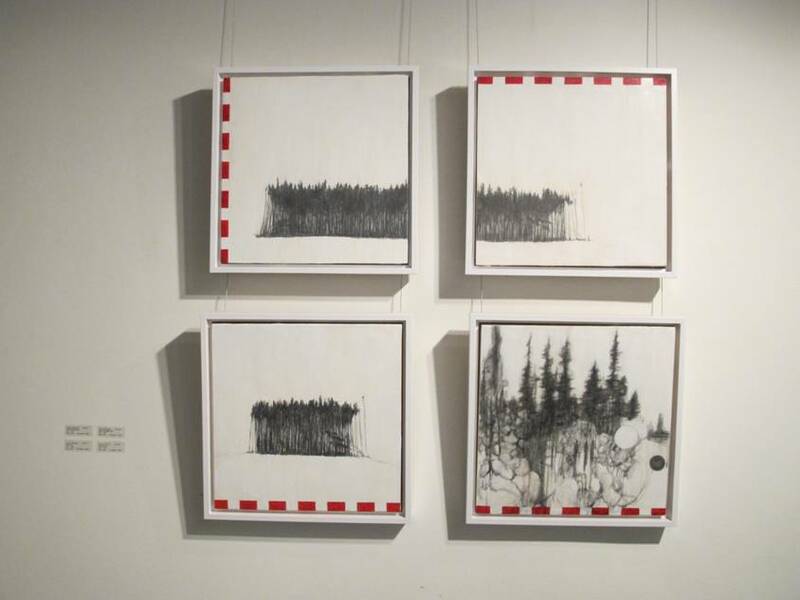 Drawn and painted lines form abstract and fragmented representations that reference tourism, natural resources, highway markers and measures. 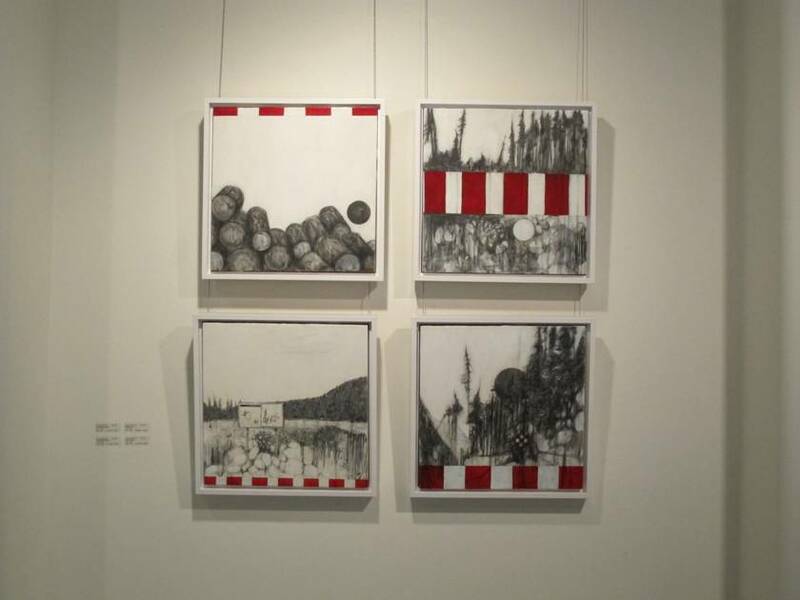 Rosanne merges landscape, memory and nostalgia while observing and discussing the history of both Canadian abstract painting and landscape painting in her work.